Online applications are invited from Indian nationals for direct recruitment to the post(s) of Personal Assistant, General Central Service, Group-B (Non-Gazetted/Ministerial) and Junior Intelligence Officer Grade-II/Technical, General Central Service, Group ‘C’ (Non-Gazetted/Non-Ministerial) in Intelligence Bureau, Ministry of Home Affairs, Government of India. Knowledge of computer operation, viz., Windows 2000/ 2003, MS Word, etc. 18 – 27 years as on the closing date i.e. June 02, 2014 for registration of applications.The upper age limit is relaxable by five years for SC/ST and three years for OBC candidates.The upper age limit is also relaxable up to 32 years of age for such government servants who have rendered minimum three years of regular & continuous service. Matriculation with two years Industrial Training Institute (ITI) passed certificate in Radio Technician or Communication or Computer or Electronics or Electrical. 18-27 years as on the closing date i.e. June 02, 2014 for registration of applications.The upper age limit is relaxable by five years for SC/ST and three years for OBC candidates. Rs. 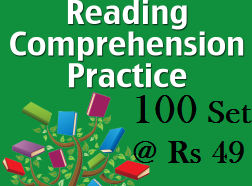 50/- (RUPEES FIFTY ONLY) for General & OBC candidates (male). However, woman candidates and candidates belonging to Scheduled Caste and Scheduled Tribe are exempted from payment of fee. Applications should be submitted online only, by logging on to the website www.mha.nic.in.Online registration will become operational from the date of publication of advertisement, i.e. May 03, 2014 till 2359 hours of the closing date, i.e. June 02, 2014. Any registration done prior to May 3, 2014 will not be entertained.